In a slightly left field move, British Airways has announced the launch of two new ‘Summer sun’ routes from London City Airport. 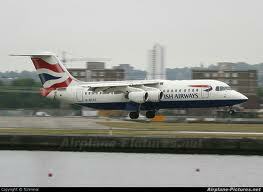 As these are City routes, they will be operated by BA CityFlyer using its fleet of Embraer planes. I’m not sure how comfortable these will be for a four hour flight, to be honest. The existing services from Heathrow to Mykonos and Santorini appear to be continuing. Cash and redemption seats are already available at ba.com although I could not find any Club Europe availability, only EuroTraveller. That said, as there is no lounge at London City, the legroom is the same in all seats and there is no ’empty middle seat’ benefit (Embraer seating is 2×2) you don’t miss much if you are down the back! Strange how two people can have a completely different experience of the exact same thing. Can never decide if it is down to different expectations or the service and hard product being different on different days. Flew LCY to MAH at the end of August and thought it was fine. Highlight of the return journey was from disembarking to being in the cab, 25 mins. The airport was busy, but then so are a lot of others in the school summer holidays. Guess it depends on how much you value the ‘lounge experience’ – we can take it or leave it.